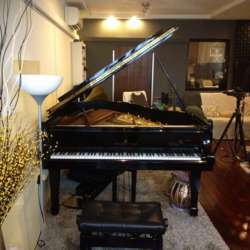 Let us attend a Wine + Music House concert of original solo piano music and improvisations based on the theme of love. The location of the mystery venue will be revealed closer to date - it will be a cosy home studio with a Steinway grand piano. This is a new series that hopes to create a unique, intimate experience that brings together concert music and wine. Each session will only sit Protected content . IMPORTANT: All guests are required to be seated by 815pm, as performance will begin at 8:30pm sharp. Both singles and couples are welcomed. If you have a message for your special someone to share through the music, please indicate when you are registering. If there are any queries, requests please drop us a message. After the concert we will proceed to a nearby place for dinner/supper.